It was busy, busy this past weekend! 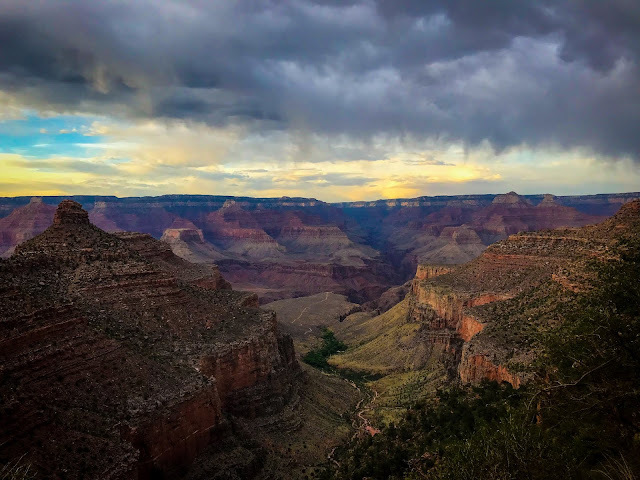 On Saturday, I ran the Trail Town 10 Miler in Ridgway, then went into Ouray and run/hiked the Perimeter Trail to get some additional miles and climbing in, followed by run/hiking the Turkey Flats Unofficial Race west of Grand Junction with the Mesa Monument Striders on Sunday! 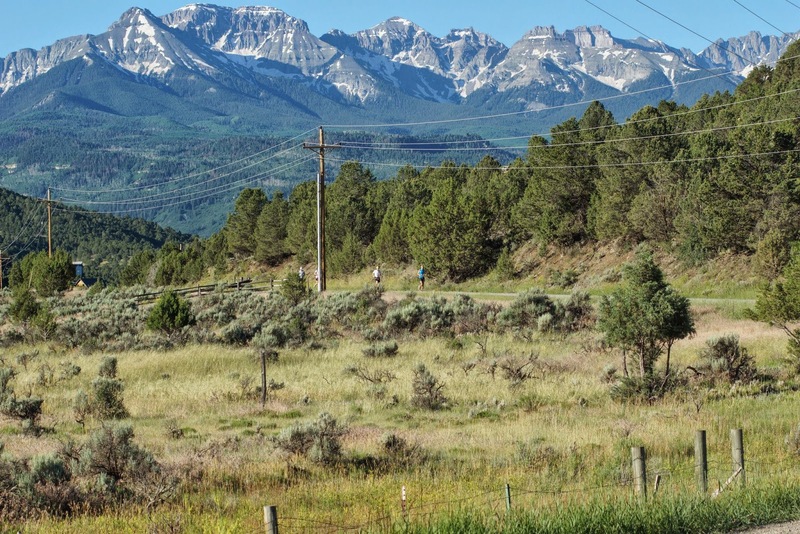 Luckily Jan, who I know from the San Juan Mountain Runners, offered to let me stay at her house in Ridgway on Friday night, so I didn't have to make the two hour drive on Saturday morning. I offered to help set-up the race the next morning, so despite being close, we were still up pretty early and at the race course by 6:30 for set-up. I drove the course with Jan to mark it - which was a nice little preview for me, where I quickly found out this was going to be a bit on the hilly side...(although I don't know what else I should have expected - it is Ridgway after all!). 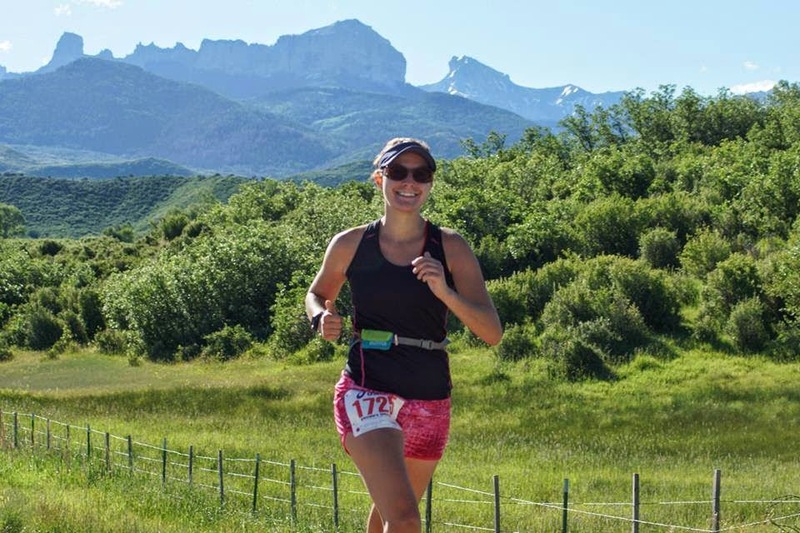 I've been doing so many races lately, that I haven't actually "raced" anything recently (pushing myself to run at a hard effort vs. just running leisurely), so I decided I would try and actually "race" this one. However, I wasn't sure how fast it would go with all the hills, especially since I haven't been doing much speed work lately. When we started, I decided to go out at a little more of a conservative pace, and then try to ease into a faster pace if I was feeling good. I think this strategy worked pretty well. My first 2 miles felt good, so I slowly worked on picking up my pace, and shooting for people ahead of me to try and catch up with. After several miles of this, I finally passed Vale shortly before the mile 5 aid station (who did Leadville with me). As we were passing it, Jan yelled out that we were in 2nd and 3rd place for the women. I was a little surprised by this, but glad she mentioned it, because I used it as motivation to keep my pace up for the remainder of the race. There were some tough hills, but I kept on at it. Finally when I reached the last aid station at mile 8, I knew it was mostly downhill, which I was very thankful for because I was getting tired!!! But I pushed through and finished in 1:30:45. I do wish I could have done it in under 1:30, but with the hills on this course (and heat), I know I put in my best effort, and was really happy with my time (and I did keep my second place position!). This was a pretty small race, but we got some cool perks at the finish line. The sponsor is the Trail Town Still, a local distillery, so in addition to the typical post-race bagels and fruit, all of the finishers got a Flask and Bloody Mary's (although I passed on this one). 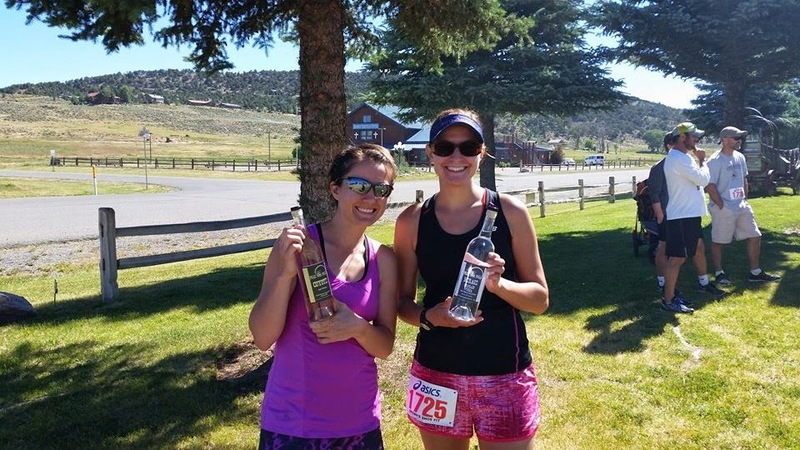 And for winning my age group I got a nice sized bottle of Vodka! Weather: 50 at the start, but very sunny and no shade, so it felt HOT! Overall - I definitely recommend this race! It was only $10 and had some seriously awesome perks! It was very small, but this allowed me to take home a prize :)! Oh and did I mention how gorgeous the views were?! Amazing views of the Sneffels and Cimarron Ranges all along the course. I was going to take pictures, but ended up getting into the zone and didn't want to stop. 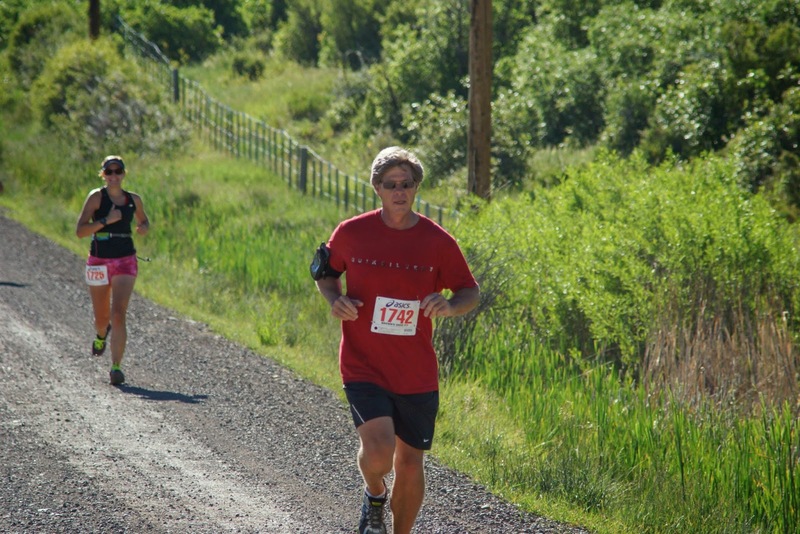 Luckily Charles (race director for Ever Run Racing) was the volunteer photographer again (he also did this for the Black Canyon Ascent) and got some good ones! Vale and I with our age group awards! I wanted more mileage and more elevation gain for the day, and since I was in Ridgway already, I decided to head into Ouray for more! 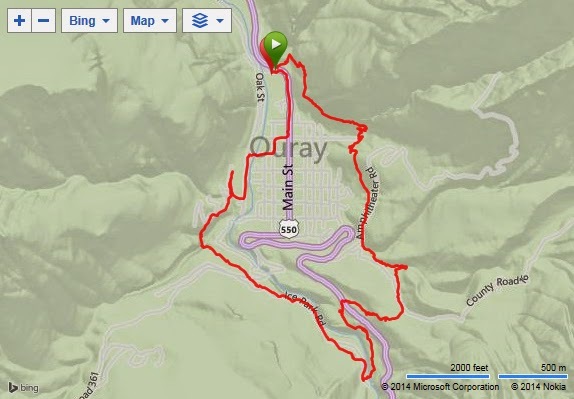 I had thought about running Camp Bird Road / Imogene Pass Run race course, but since I pushed myself pretty hard in the race, I decided instead to just hike the Ouray Perimeter Trail. The Perimeter Trail starts on the northeast side of town and goes in a clockwise direction around town for a distance of around 5 1/2 miles. I've been on parts of it that overlap with other trails, but never the whole thing, so it was the perfect addition to my San Juan trip! I drove into Ouray and quickly got started. The first part of the trail has a good amount of climbing as you head up above Ouray, and then hike along a nice exposed ledge for awhile (this is probably the maximum exposure I'm comfortable with - I have done worse, but don't like it), until you reach Cascade Falls. Now, I knew you could go to the base of the falls from in town, but I didn't realize, you could hike up a little ways to this portion of the trail from there. This had some awesome views of the falls that you just don't get when you only go to the base - so now I know if I ever take people here! After Cascade Falls, you go back down to the base of the falls, then back up for awhile. This is the part of the trail I had been on before, when hiking to the Upper Cascade Falls / Chief Ouray Mine back in 2012. You eventually break from that portion again though, are on a paved road for a short section, and then get back onto the trail as it goes by the Baby Bathtubs. I had heard of the Baby Bathtubs, but hadn't been to them yet, this was all new for me, which was pretty exciting. You climb somewhat gradually as you pass the Baby Bathtubs, and then keep on going for awhile, until reaching a really pretty open area. It almost looked as if I was above treeline, even though I wasn't. I ran into a group of people from Colorado Springs who wanted their picture taken, so I took theirs and then they returned the favor by getting one of me. The trail was marked with these signs everywhere - very helpful! My favorite part of the trail - it felt like I was above treeline even though I wasn't! So pretty! After this section, you head back down, until you reach Highway 550, and actually cross the highway. From here on out, you are mostly on miscellaneous dirt roads for the rest of the hike. It's still really pretty though as you go by the ice park and then across Camp Bird Road, until ending up at the upper section / bridge of the Box Canyon Falls Park! I had been to this bridge before, but didn't realize it connected to the Perimeter Trail, so that was pretty cool. After crossing the bridge (where I was so afraid I was going to drop my phone as I took pictures! ), you go through this crazy tunnel and then down some scary steps, before ending back on dirt roads again. From inside the tunnel looking out at the bridge I was just on. These steps were quite a bit steeper than they look. From here you're pretty much on dirt town roads, so I got a little confused on what was still considered the perimeter trail and what wasn't. I just ended up going into town though and walking back to my car (and then grabbed some lunch from the Backstreet Bistro - yum!). Overall, as I do almost all trails, I do recommend this. They have a ton of signs posted everywhere, so it's pretty easy to find the trail - my only problem was at the end when it was more dirt roads and houses (although you're pretty much back in town by this point anyways, so not sure it really mattered whether I was actually on "the trail" or not). It's definitely one of the easier trails in Ouray, although there is still a fair amount of climbing - especially right when you get started. 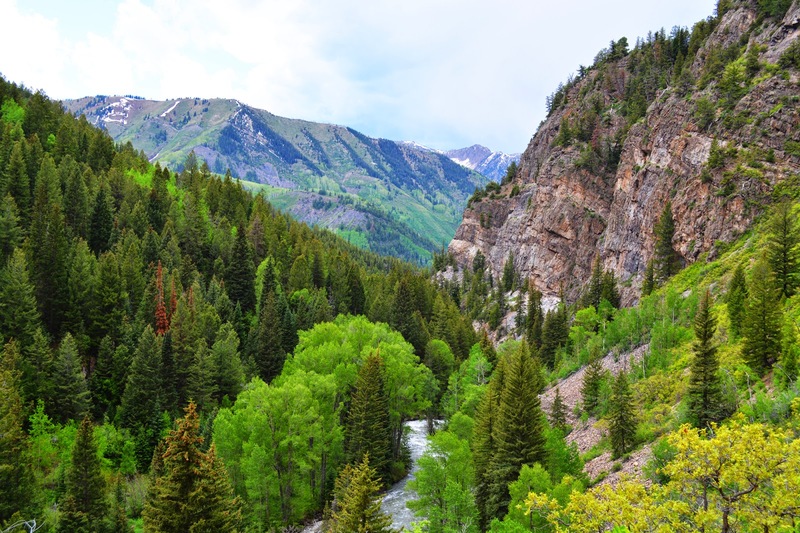 I wouldn't consider this my top pick for an Ouray Trail, but if you don't have a ton of time, and/or are looking for something a little bit shorter, it's great, and it shows the Ouray area very well. (If you're looking for my top Ouray recommendation - I'd go Blue Lakes or Bridge of Heaven - or if you want to drive a bit - Ice Lake Trail near Silverton is one of my ALL TIME favorites). I had to buy this magnet because I'm always talking about how pretty the San Juan's are! Despite having a pretty busy day on Saturday, I apparently wasn't done yet for the weekend. The Mesa Monument Striders (the run club in Grand Junction) was having what I guess you would call an "unofficial race" on Sunday at Turkey Flats. 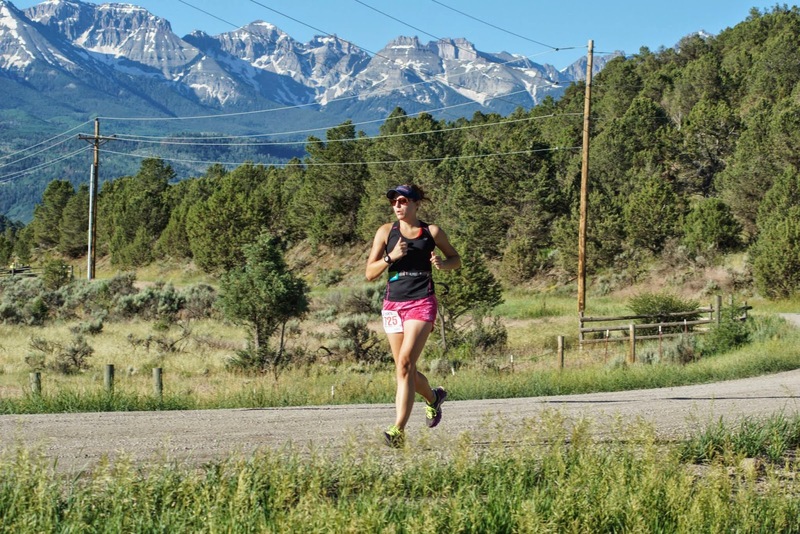 I had never been to Turkey Flats, so figured this would be a good way to explore it for the first time and to get to know more of the local runners (who are all SUPER FAST by the way). Turkey Flats is located west of Grand Junction, up high past the Colorado National Monument and past Glade Park (you drive through part of the Monument to get there, and then just keep going up and up and up for awhile). It was about an hour drive, so I was happy to find some people to ride up with via Facebook - especially with all of the driving I had done to and from Ouray the day before. 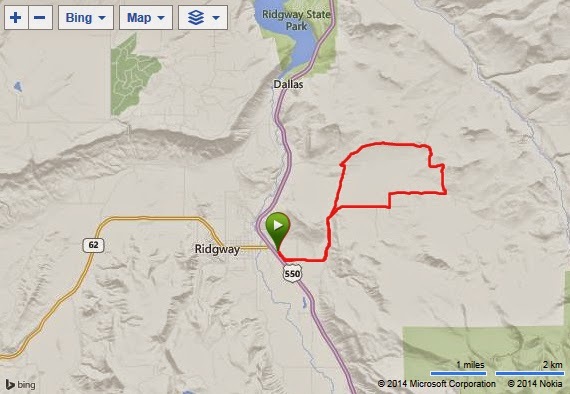 I have been to a couple of weekday group runs with the Striders, but wasn't really sure what to expect. We made it to the trail head with about a half hour or so to spare, so I stood around chatting with people for awhile. We did have to register, but it was pretty casual (name and age). The event was free, and so I was surprised that we got bibs (that were HUGE). Pretty soon it was time to start. I was fairly sore from my race the day before, so I knew I was going to be taking this slow and started towards the back. 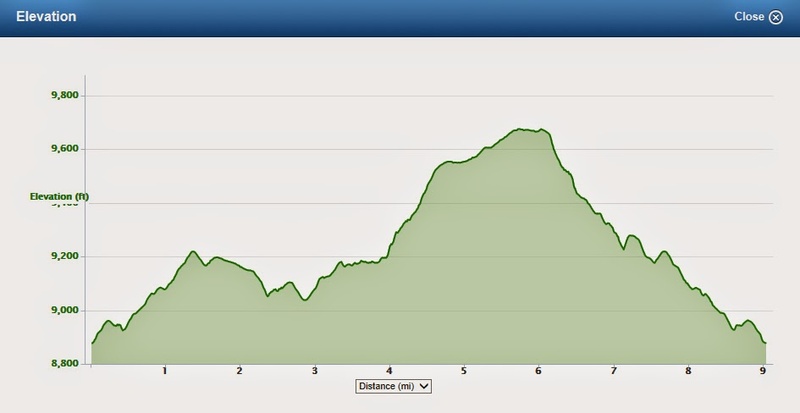 The course was uphill right from the get-go and my legs felt even more dead than I expected. Since it was the beginning, everyone was running the uphill, so I tried to push myself to run, but my legs weren't liking it. Pretty quickly almost everyone had passed me. That's always a little depressing, but I tried to tell myself that I raced yesterday and today was just for fun - not to worry about being last (easier said than done though). Finally after about a mile and a quarter the course flattened out for a bit and even had a few downhills, so I could actually run a decent pace. 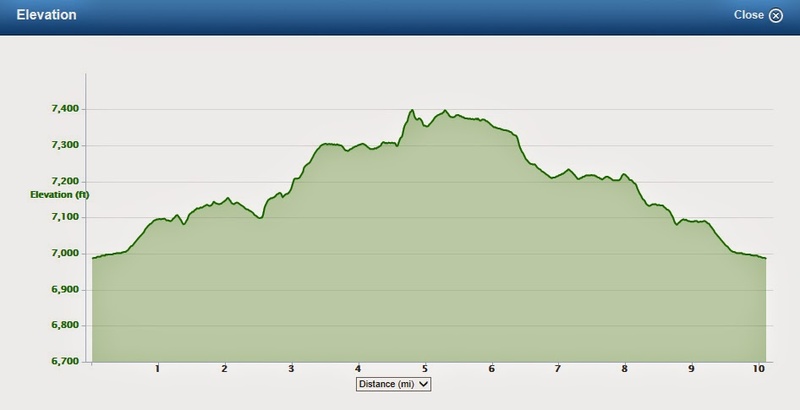 Unfortunately that didn't last, and around mile 3 we had a lot more uphill to worry about again. So I walked, and walked some more. We also ended up on a road for awhile here that was really thick sand, so that didn't help either. However, I will say, it was really pretty out! I took my time and enjoyed the views. 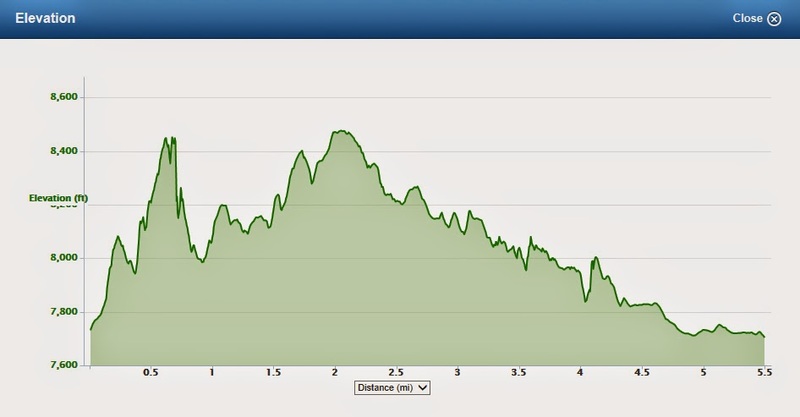 At about mile 6, the course headed back downhill again for the rest of the race. I had been told the total mileage was 9.6, so was really surprised when I heard cheering right after hitting 9 miles, and finished (yes - DEAD LAST) with a garmin distance of 9.04, in 2:02:58! After the race everyone hung out and ate food and drank beer! Since it was a free event, the food and drink was kind of a pot-luck type of situation. I kind of felt bad because I didn't bring anything, but I guess I know for next time! I ate about a million chips and salsa (apparently you can go to Fiesta Guadalajara and just buy their salsa - SO YUMMY!). Overall, this was a fun event! I enjoyed meeting more of the Striders, but I have to say, they are ALL super fast. I know I wasn't running as fast as I normally would have, but at the same time, I doubt I would've come in significantly faster had I not been sore. I guess I will just have to get used to being a slow poke! After all, it is more about personal improvement anyways, not about beating other people! It sounds like the Striders put on events like this quite often, so I'm looking forward to doing a more in the future! As far as the Turkey Flats area is concerned - it is gorgeous! Tons of aspen trees all around - I can't imagine how pretty this would be in the fall! 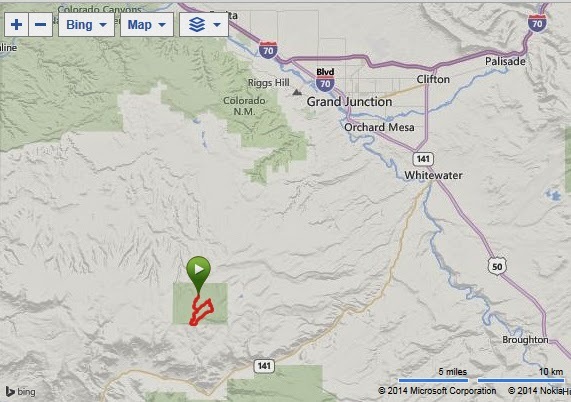 I honestly had no idea that there was "forest-y" area to the West of Grand Junction - I figured it was all "desert-y". I definitely recommend checking out this trail if you're in the area!